Desktop Application is provided as part of the package. 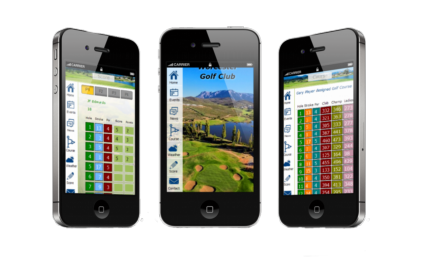 Enter golf scores in the app and submit to the Pro-Shop. 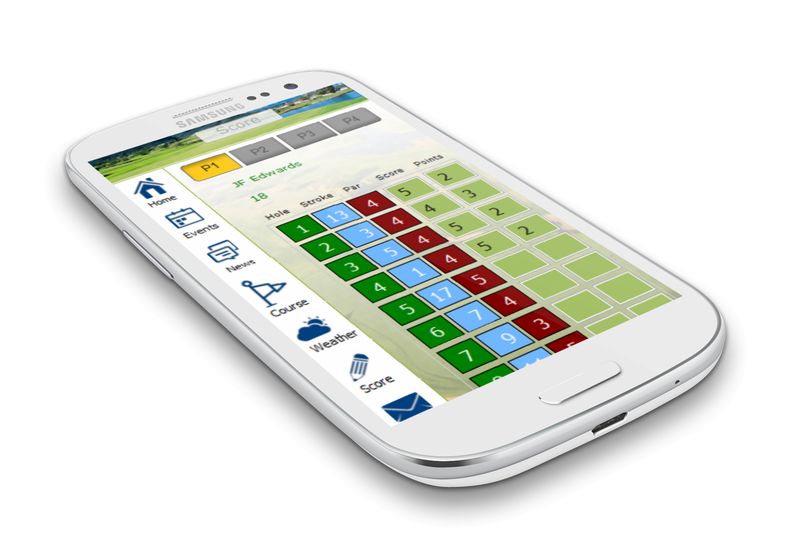 Enter score and app wil calculate points automatically according to handicap / competition format. 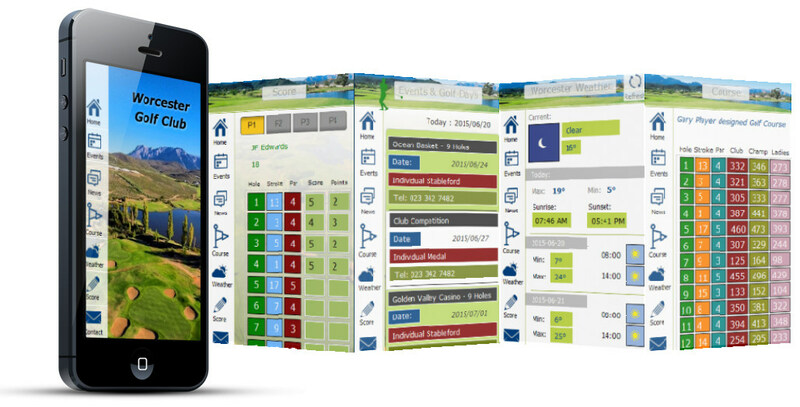 * New: On specific Golf days with golf competition the score details will be submitted to pro-shop where the desktop app will sort points automatically.This will also keep a backup of all scores entered on the webserver database for backup purposes.Results can be printed for immediate availability at prize giving/function. (All scores not entered on android app can be entered manually in the desktop app)* Future releases: Check handicapAccess all previous rounds played and submitted. 3. 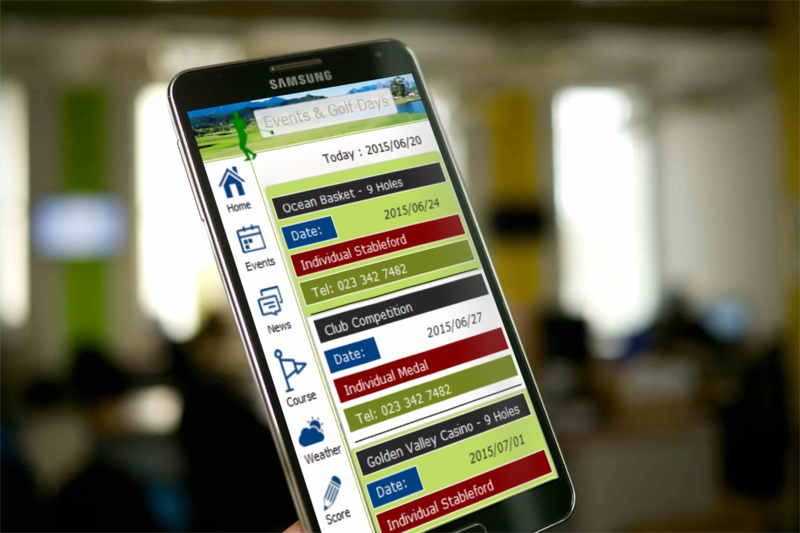 Course details – easily accessible and always available on mobile phone (In your pocket). 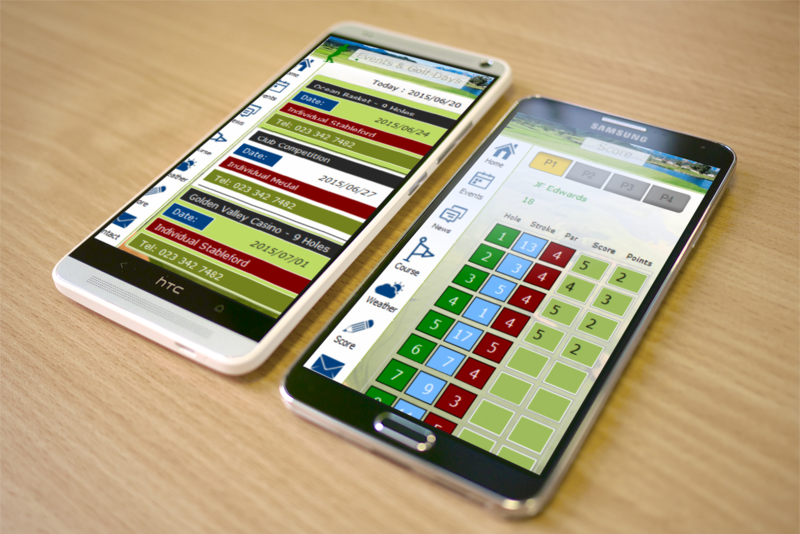 This ensures safe backup of all scores entered. Desktop sofware delivers management systems to several pc’s with user login. No additional monthly fees for MySQL databases on web server.